A native of Fort William Ontario on the North shore Lake Superior , now known as Thunder Bay. He was a member of the church choir and graduated from Drew Public School and Collegiate Institute. He appeared to have passion for mechanical work and was employed at two the local service stations in that city before enlisting. He enlisted a few years after the war began, in September of 1941 at the age of approximately 19. He completed his training and was sent overseas in November of 1943. With his mechanical background it was likely he would have fit in as a member of the RCAF ground crews servicing the aircraft. Somewhere in his training his abilities were recognised for the skills required for a Bomb Aimer. Or he may have done ground trades and then applied for aircrew as so many men did once accepted by the RCAF. 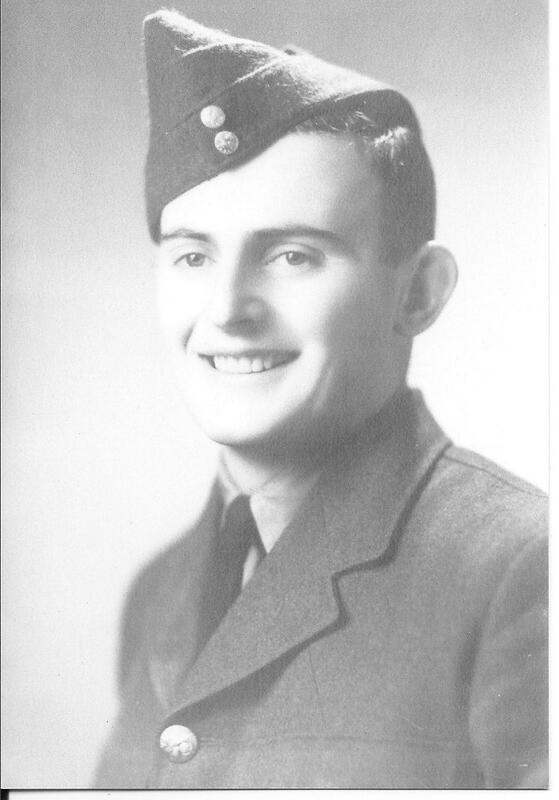 Between his arrival in Britain in November of 1943 and his posting to 419 squadron on September 7th 1944 he completed his additional training at one of the O.T.U bases then with his new crew mates was posted to No. 61 Base and one of the three Heavy Conversion Units attached to Base 61. He became the Bomb Aimer for F/O Reginald McVicar, in this role he completed half of his required operations to complete his tour. On his fifteenth operation with the McVicar's crew his aircraft VR-Q, KB765 was hit by flak and exploded almost instantly. Only the rear gunner survived. F/S Eaton Morgan his families only son was originally buried near where his aircraft came down, in the cemetery at Gelsenkirchen/Buer. His body along with his fellow crew men where later moved to Reichswald Forest War Cemetery.